This Monthly Member Spotlight features Patty and her creative space! What was your most recent fabric purchase? 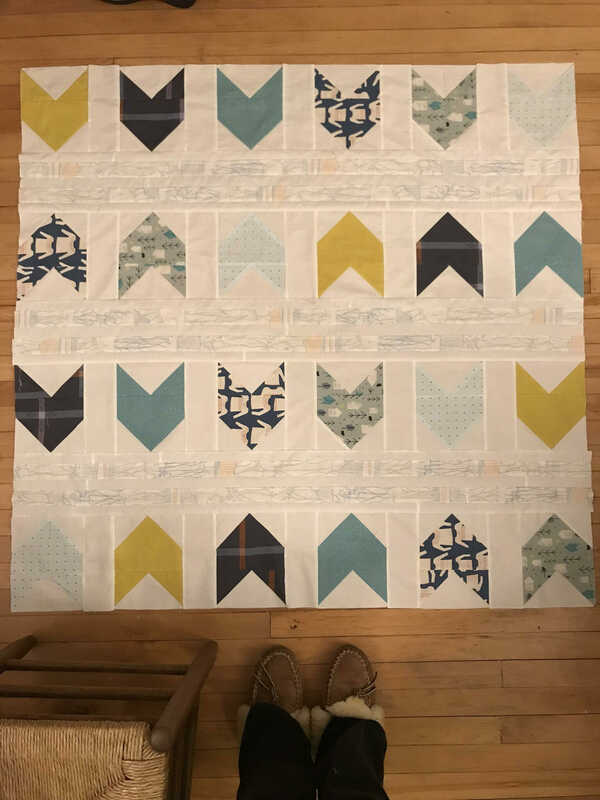 ​I am taking a beginner quilting class at Yankee Pride, and I purchased fabric there in February for a zigzag ​quilt we are making. What do you do when you aren’t quilting? ​I love the outdoors! I am usually finding a place to hike, ski or swim as weather and time allows. 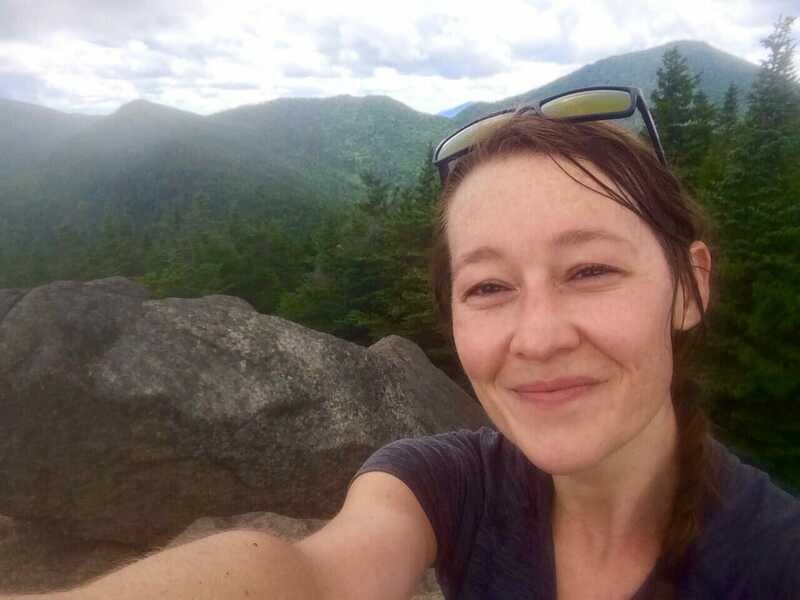 I’m working on hiking the Adirondack 46 high peaks. I also enjoy playing my mandolin, cooking, knitting, reading and hanging out with my 2 cats and dog at home! Where do you sew the most? 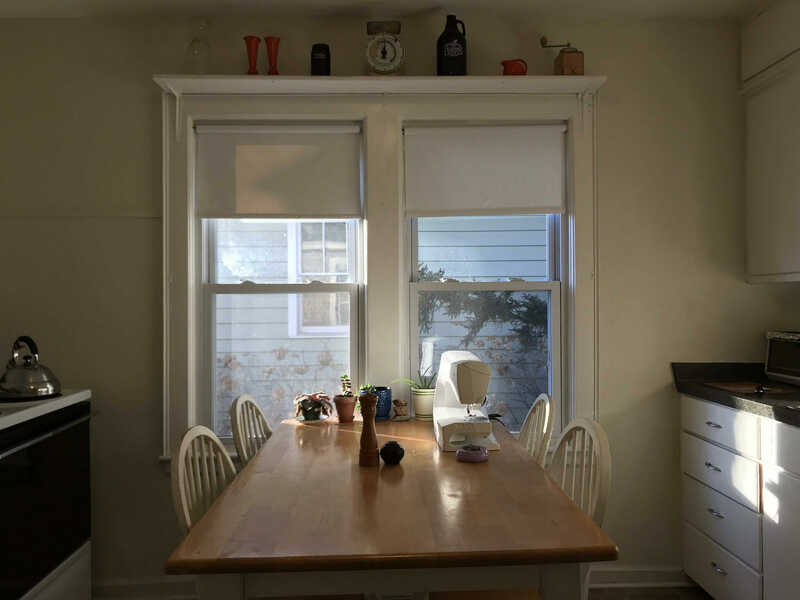 ​I live in an apartment, and since most of my space is multi-use, I don’t have a designated “sewing only” space. I keep my sewing machine on my kitchen table most of the time. 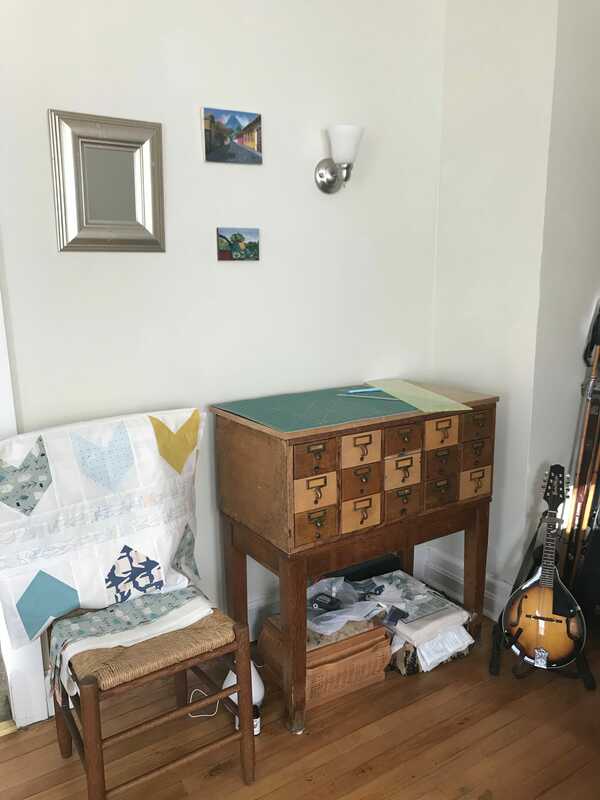 For cutting, pinning, etc, I use a vintage card catalog in my living room that is a great height for standing. It perfectly fits my 18×24 rotary mat! My ironing board is usually set up in my bedroom. I like this set-up because I’m moving around in the process, so not sitting in one spot for too long. I think my dog also loves following me back and forth every step of the way! He’s committed to the process. What is your most useful (or least useful) notion? As a beginner quilter, I highly value my seam ripper. 🙂 ​I also highly value my essential oil diffuser, which helps with inspiration, patience and positivity when I need to use the seam ripper. And that’s a wrap for May’s Monthly Member Spotlight. See you next month with a whole new member and a whole new sewing space!